Our Governance provides insight in how we have structured and control IBS Capital Allies. IBS Fund Management BV (management of alternative investment funds). Accordingly, all activities of IBS are thus clearly organised in a separate company. A Supervisory Board (p.p.) is responsible for supervising the policy pursued by the management board and the general course of affairs in the company and the business associated with it. IBS Capital Allies is the tradename of IBS Capital Management BV and her subsidiaries IBS Asset Management BV, IBS Direct Investments BV, IBS Corporate Finance BV and IBS Fund Management BV. 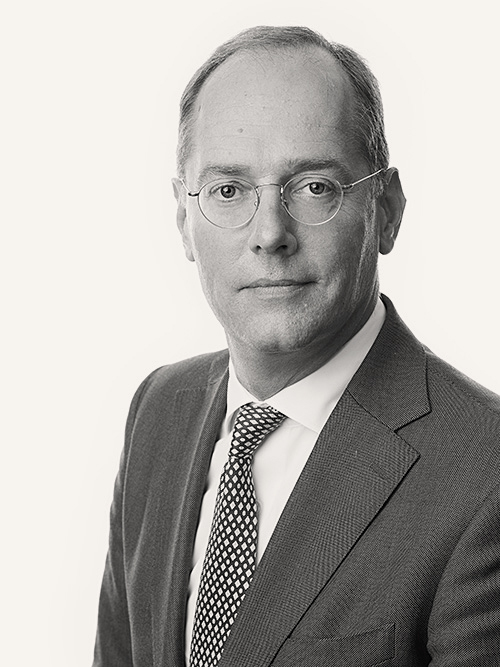 Jacco Rijnbeek, Harold Knebel, Tim Timmermans, Ferry van der Wurf and Hans Betlem are shareholder of IBS Capital Management BV through their personal holdings. In that capacity they may use the title Partner. Furthermore, IBS Capital Management BV has three minority shareholders who are not involved in the daily business operations. IBS Capital Management BV and IBS Asset Management BV have a so-called ISAE 3402 Type I declaration. This stands for International Standard on Assurance Engagements no. 3402 – a directive for the certification of the internal controls of the processes in service organisations. It describes the control objectives and administrative measures, and an auditor assesses whether these are also effective. In the case of IBS Capital Management BV, IBS Asset Management BV and IBS Fund Management BV, this audit is performed annually by the appointed auditor. IBS Asset Management BV has been granted an investment firm license (“beleggingsonderneming”) from the AFM, the Netherlands Authority for the Financial Markets. IBS Asset Management BV’s own capital is more than sufficient to continuously satisfy the capital requirements of DNB, the central bank of the Netherlands. The other IBS companies are also adequately capitalized. IBS Fund Management BV has applied for an AIFMD license for managing alternative investment funds with the AFM. IBS Fund Management BV is currently not yet under supervision of the AFM and DNB. IBS’ employees who are members of the VBA, the Association for Investment Professionals, and/or the Dutch Security Institute (DSI), are bound to the respective Code of Conduct. All our employees are subject to an internal insider regulation that contains rules for private investments and conflicts of interest. All employees have also committed to the Banker’s oath, in which they declare that they will perform their duties with integrity and care. We are affiliated with Kifid, the Netherlands Institute for Complaints about Financial Service Providers, and accept judgments from the Netherlands Disputes Committee (Geschillencommissie) as binding. The Annual Report and other financial reporting shall be construed in accordance with Dutch generally accepted accounting principles. The financial statements are deposited with the Dutch Chamber of Commerce, where the statements may be consulted by anyone. IBS Asset Management BV has no proprietary trading portfolio. IBS Asset Management BV trades only for the account and risk of clients. A controlled compensation policy according to the Dutch Law that regulates compensations in the Dutch Financial Industry (“Wet beloningsbeleid financiële ondernemingen”) is applicable to all IBS companies. There is no relationship between returns achieved, risk taken and the amount of bonuses. Variable compensations are bound to a legal maximum. Our services are based on trust. You trust us to listen carefully to you, you trust us to use your information to provide you with the best services, and you trust us to process your personal data in a way that protects your privacy. Trust is an inseparable part of our mission: to be your best possible ally. This privacy statement explains how we process your personal data. Investment companies like IBS Asset Management BV are legally obligated to take sufficient measures in order to achieve the best possible results with the order execution of clients. In our Best Execution Policy we explain how we meet this obligation. In addition we each year provide a list of the trading places we used. Regarding the potential conflicts of interests we inform that IBS Asset Management BV also advices clients on investment companies that are managend by IBS Fund Management BV, provided that these clients are qualified. IBS Asset Management BV and IBS Fund Management BV have taken action to control potential conflicts of interest.